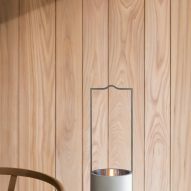 British designer John Pawson has collaborated with Swedish lighting company Wästberg to design the fourth non-electric light in its Holocene collection. 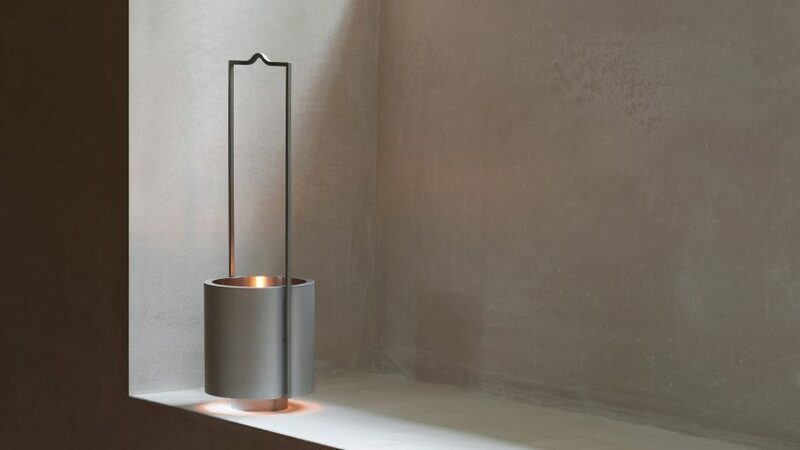 The oil lantern, called Holocene no.4, is made from stainless steel and aluminium, with a matte exterior drum and a polished interior core to best reflect the light. 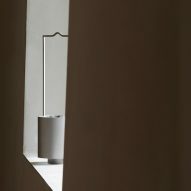 The freestanding piece has a squared-off metal handle that extends from the cylindrical shade at the base of the light with a central, finger-shaped indent at the top. 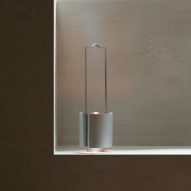 The light has few embellishments, in line with Pawson's pared-back style. 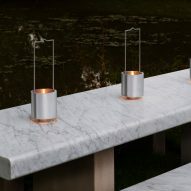 It stands just over 40 centimetres tall and can be carried around for use both indoors and outside, positioned on the floor or a table, or hung from the wall. "I wanted to keep the function, form and palette as simple as possible. 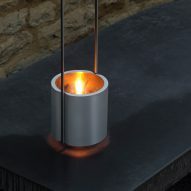 It's basically a crucible-like container for fire, designed so that it can comfortably be carried and suspended," Pawson told Dezeen. 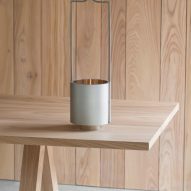 The decision to design a modern take on an oil lantern came about as Pawson was designing a farmhouse project that integrated agricultural outbuildings in the Oxfordshire countryside when he was approached to collaborate with Wästberg. "I always prefer to design with a specific context and a clear idea of patterns of use in mind, rather than in the abstract," said Pawson. 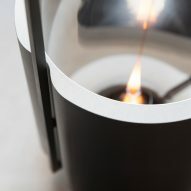 "An oil lantern seemed a natural choice because I wanted to make something that would move seamlessly from indoor to outdoor use and I liked the precedent of the storm lantern as a starting point." 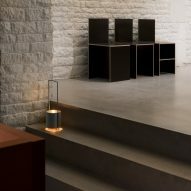 The previous three lights in the collection were designed by Isle Crawford, David Chipperfield and Jasper Morrison, who Magnus Wästberg, the founder of Wästberg approached personally. Although he didn't know Pawson before they worked together, he had long been an admirer of his work. "I was fully aware of John's work; when I first came across it in the mid-to-late 1990s it was kind of a revelation to me. 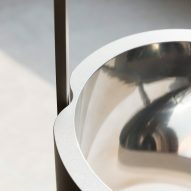 It struck a chord with me and has stayed that way for twenty years," Wästberg told Dezeen. 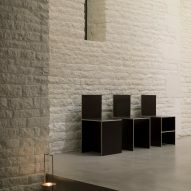 The name of the collection derives from the geological period of the same name. "The Holocene was a geological period, stretching from 11,700 to about 100 years ago," said Wästberg. "It can be described as the period when man lived in harmony with nature, was careful with resources, cherished fire." 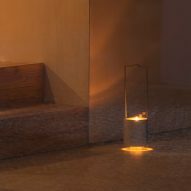 The founder of the Helsingborg-based lighting company feels that our relationship with light has changed since the switch to electric lights from naked flames. "Technical advancements are obviously mostly for the better, but as we started to regard electricity as an inexhaustible resource our relationship to light changed," he explained. He feels that artificial light is now something that we are exposed to, rather than something that exists to benefit us: "Lighting solutions no longer light 'for' people but 'on' people," added Wästberg. 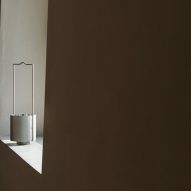 The collection aims to change our perception of the possibilities of non-electric lights, by offering a beautifully designed and energy efficient alternative, an ambition that Pawson agrees with. "Lighting is the biggest element of architecture and completely changes one's perceptions of space," said Pawson. "I wanted to create something that had its own presence, so that when you set it down it makes its own atmosphere." 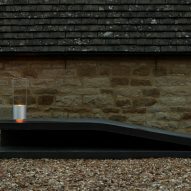 Pawson stressed that his process remains the same, whether designing buildings or lights. "As I always say, whether it's a ballet set, a chapel or a spoon, for me it's all architecture," said the architect. "Everything is traceable back to a consistent set of preoccupations with mass, volume, surface, proportion, junction, geometry, repetition, light and ritual." "I have a feeling that more and more people are interested in lighting and not only the technical aspects of lighting but also how it makes us feel and the atmospheres it creates. In addition, we can no longer see electricity as an inexhaustible resource. At least not for the time being," added Wästberg. Back in 2016, Pawson let Dezeen into his Notting Hill and King's Cross offices, both of which are decorated in a minimalist style, in shades of white and grey.